Recent developments in scanning electron microscopy (SEM) have resulted in a wealth of new applications for cell and molecular biology, as well as related biological disciplines. It is now possible to analyze macromolecular complexes within their three-dimensional cellular microenvironment in near native states at high resolution and to identify specific molecules and their structural and molecular interactions. New approaches include cryo-SEM applications and environmental SEM (ESEM), staining techniques and processing applications combining embedding and resin-extraction for imaging with high resolution SEM, and advances in immuno-labeling. New developments include helium ion microscopy, automated block-face imaging combined with serial sectioning inside an SEM chamber, and Focused Ion Beam Milling (FIB) combined with block-face SEM. 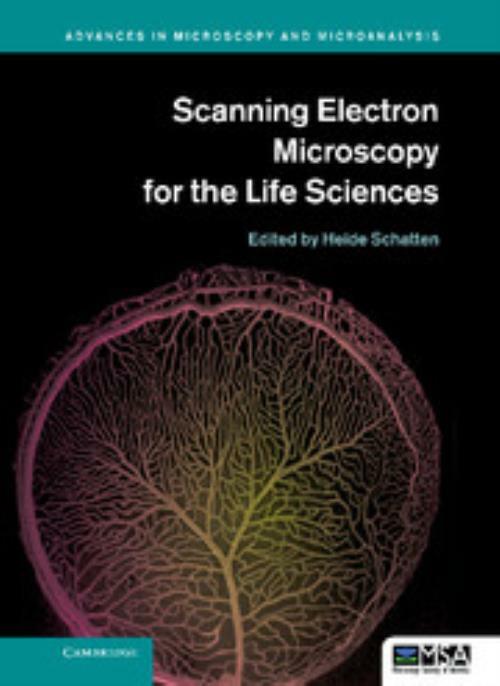 With chapters written by experts, this guide gives an overview of SEM and sample processing for SEM and highlights several advances in cell and molecular biology that greatly benefited from using conventional, cryo, immuno and high-resolution SEM. 14. SEM, teeth and palaeoanthropology: the secret of ancient human diets Alejandro Romero and Joaquín De Juan. Heide Schatten University of Missouri, Columbia. Heide Schatten is a Professor at the University of Missouri, Columbia. Her publications include advanced imaging methods, cellular and molecular biology, cancer biology, reproductive biology, microbiology and space biology. The latter included collaborations with NASA scientists and experiments aboard the Space Shuttle Endeavour to examine the effects of spaceflight on cytoskeletal organization during development. She has received numerous awards including grant awards from NASA, NIH and NSF. She has published over 185 papers, seven book chapters and edited several special topic journal issues and eight books with several more in progress.